Mercedes GLA-Class GLA 45 4Matic Auto Review and Deals 2019 | What Car? This voraciously rapid, four-wheel drive, sports SUV is fun to drive, with a playful chassis courtesy of a bespoke suspension set-up, and a monstrously powerful, 375bhp 2.0-litre turbocharged engine. 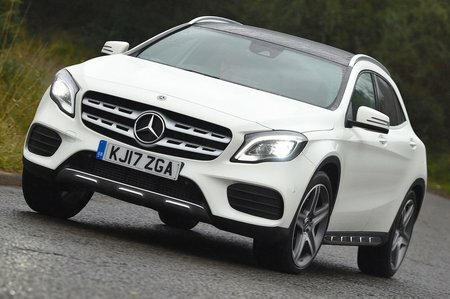 However, for all its riotous enthusiasm, the GLA 45 AMG is really too expensive to be recommendable.